Home / Old House Blog / What Defines Historic? What makes an old house worth saving and restoring? The adjective normally associated with a home that is considered worth trying to save is “historic”, as in we need to work to save that historic old home. But historic is a broad description, and can have different meanings depending on your audience. History buffs might consider an old house to be historic because of who occupied it at one time during its long life. 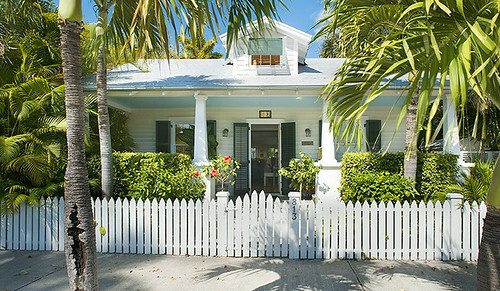 Another group of people might consider an old house to be historic because it shows an architectural style that was popular in a particular area such as the Conch Cottages of Key West, or a style that defined an era such as the Victorians or the American Four Squares. Decorators and carpenters might consider an old house historic because of its elaborate interior trim work and four panel doors. Personally, my definition of what makes an old house historic is whether it has ever been considered a home. Have families looked forward to returning to it after an absence, and have they made memories within its rooms? When you walk through the old house can you feel the laughter and joy the home has experienced? This is what makes an old house historic in my mind, and those types of homes are worth saving. The group that worked to save Frederick Muhlenberg’s old house did so because of what he meant to our young country and its government. For those of you who don’t know who Frederick Muhlenberg was–and I was a member of that group until I read the article–he was the first Speaker of the U.S. House of Representatives. The home was built during the 1760s, and he purchased it in 1781. The group kept the home from being torn down by developers, and it is in the process of being restored. A recent online headline caught my eye, as I had recently read an article on Old House Web concerning preservation tax credits. Historic Augusta, a historic preservation organization in Augusta, Georgia, had a workshop today on preservation for profit. The hope of the organization is that if people feel that saving and restoring an old house won’t leave them financially ruined, they might be able to generate more interest in saving some of the old houses around Augusta. The purpose of the workshop was to show potential and current old house enthusiasts how they might use state and federal tax credits to help ease the costs incurred during a restoration. It sounds like it would have been a good workshop to attend, and I’m sure you could get some information from them if you shoot them an email.